Wood Designs 45" W x 16" H reading bench offers durable plywood for long-lasting use. 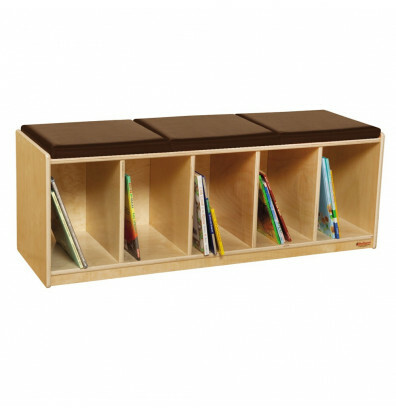 Includes 5 compartments below bench for storing materials. Coated with UV finish. Recessed back adds strength and stability. Corners and edges are rounded to provide maximum safety. Ships fully assembled. This bench includes a cushion available in red and brown.